Dimensions : Ø 22 cm x H 23 cm - Cable : L 400 cm max. 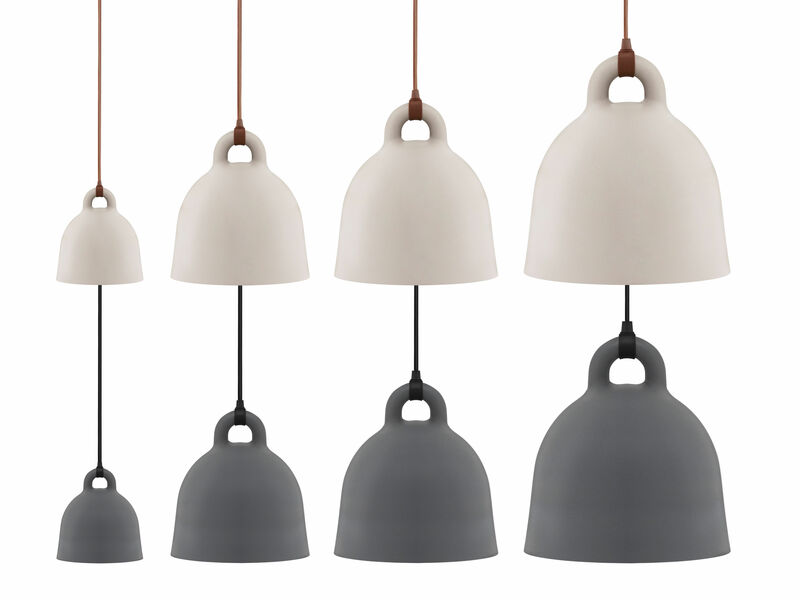 Bell is a pendant lamp in an icon-like bell shape and equipped with lovingly worked details. The apparent impression is robust, the form simple. 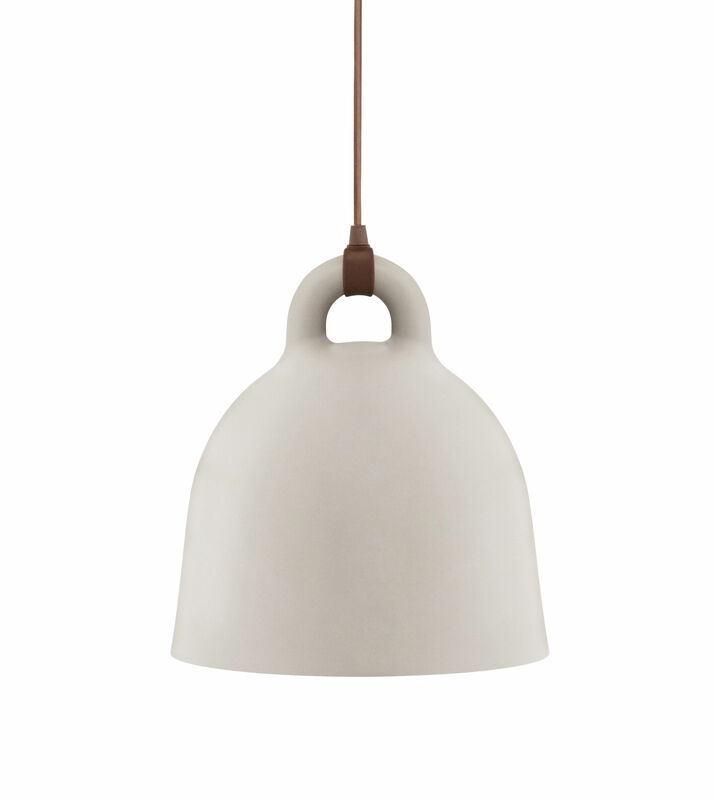 With its soft, rounded surface, the lamp looks as if cast. Instead of hiding it, the connection between cable and luminous corpus is modernly and unusually emphasized. 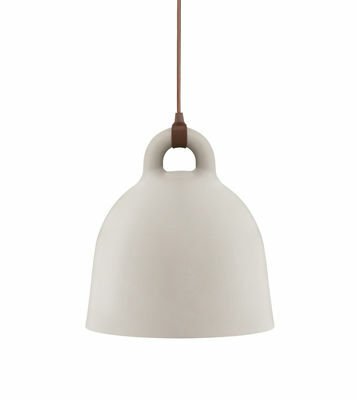 The designer Andreas Lund and Jakob Rudbeck also focused on the design of the suspension at the Bell Lamp. 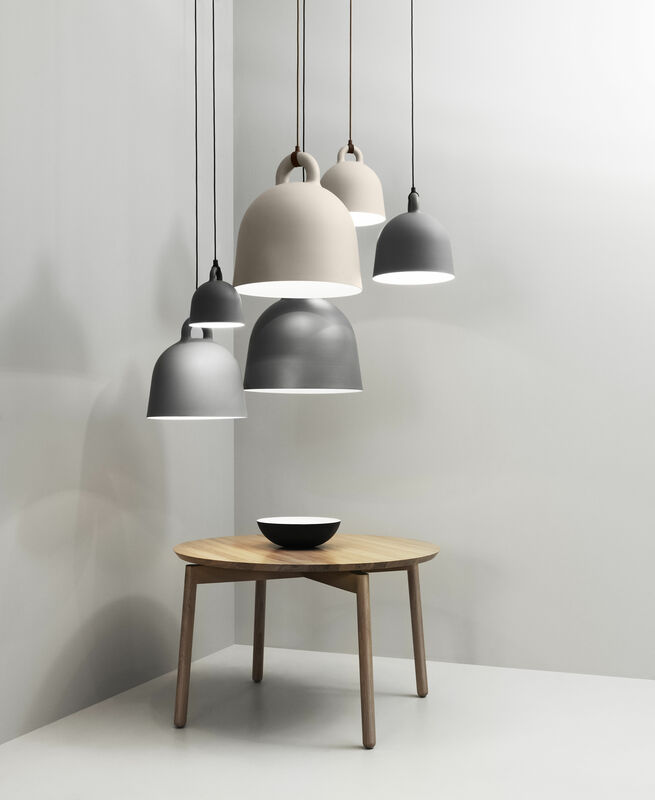 By the contrast between the materials, a modern lamp emerges, Bell is a direction lamp, which changes its character and transmits new impressions depending on what side of it is seen. The bright inner part reflects the light that spreads cone-like and which offers good illumination, for example on top of working desks.